Road Trip VIII, Days 36-38, Cincinnati, St. Louis, Salinas, Kansas: Bike-Pathing Across America—Thank You, Trail Link! Planning a drive across the country? Planning on staying in shape as you go? Does this look like a nice break from the highway? Consider this post a full-on advertisement. Luckily, it’s for a non-profit organization. Also I’m not being paid. I just want anyone out there who travels across the US with a bike, or with a pair of good legs which like to stretch themselves on trails, to know about Trail Link. 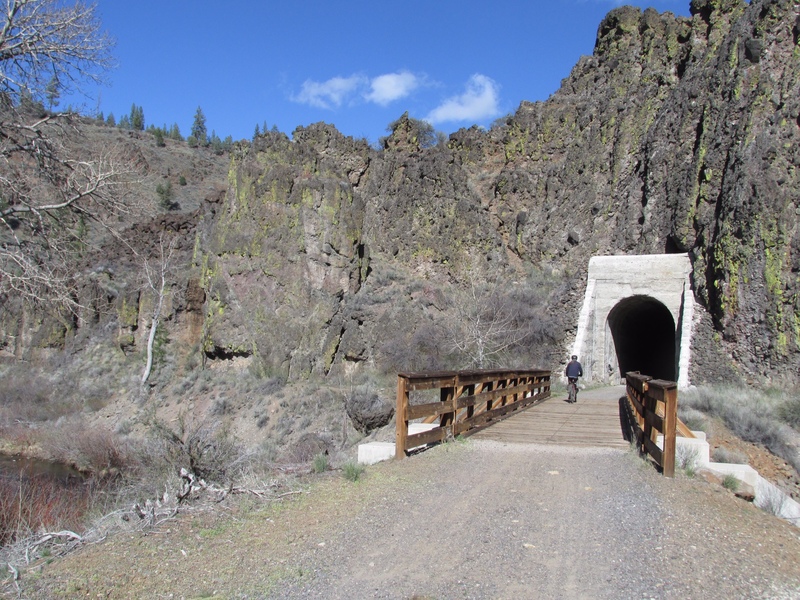 One of our favorite trails ever—it goes through tunnels! Clicking on any of those icons gives you directions to parking, plus more info, although Trail Notes sections are already as thorough as any well-written guidebook, complete with photos and reviews. The Mate and I are dedicated Trail Linkers. 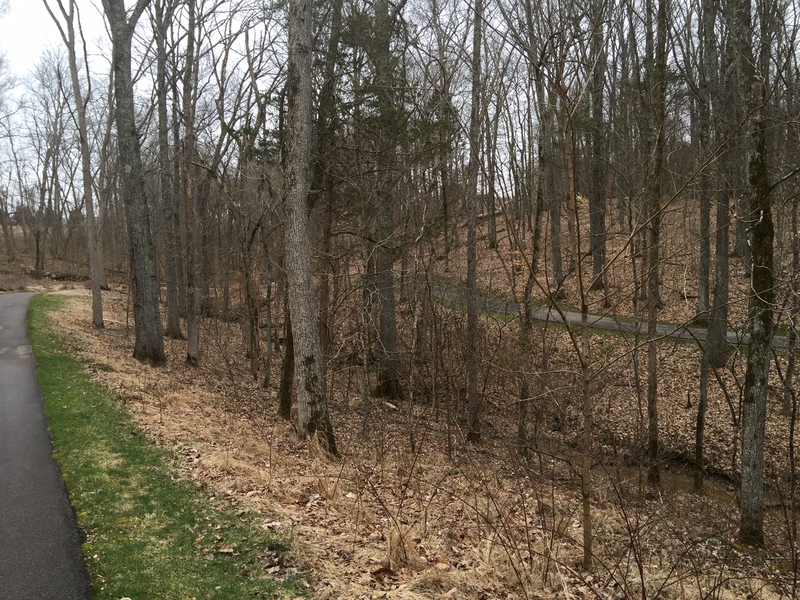 When possible, we plan our routes through areas with inviting trails. Often we find these in out of the way places like Susanville, California—one of our favorites—but also near quite urban places like Atlanta. Susanville! A destination trail. And the town’s pretty cool too. The reason? Trains go everywhere, and when they are retired and organizations like … get on the case, then the trails go everywhere too. It’s a beautiful thing. 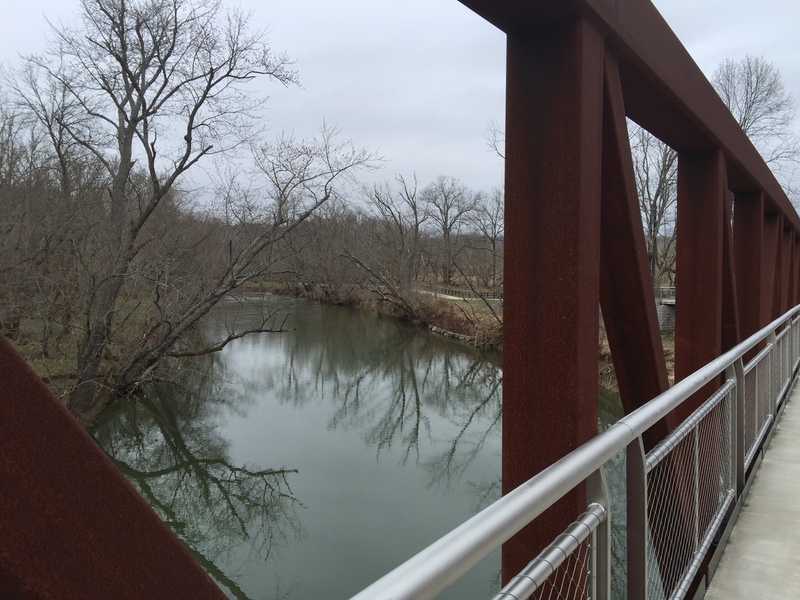 Our most recent example: the terrific Louisville Loop, a series of wonderfully curvy, hilly, bridge-studded trails that will eventually encircle the entire city by connecting its greenways. Easy access, a fantastic workout, your daily hit of natural beauty—what else does a road-tripper need? Just look at those whoopy, swoopy, woodsy curves! Here’s one from last year’s trip—a trail along the Illinois River. Just because you’re driving purposefully without a lot of time to meander, does not mean you have to sacrifice your needs for exercise, beauty and adventure. 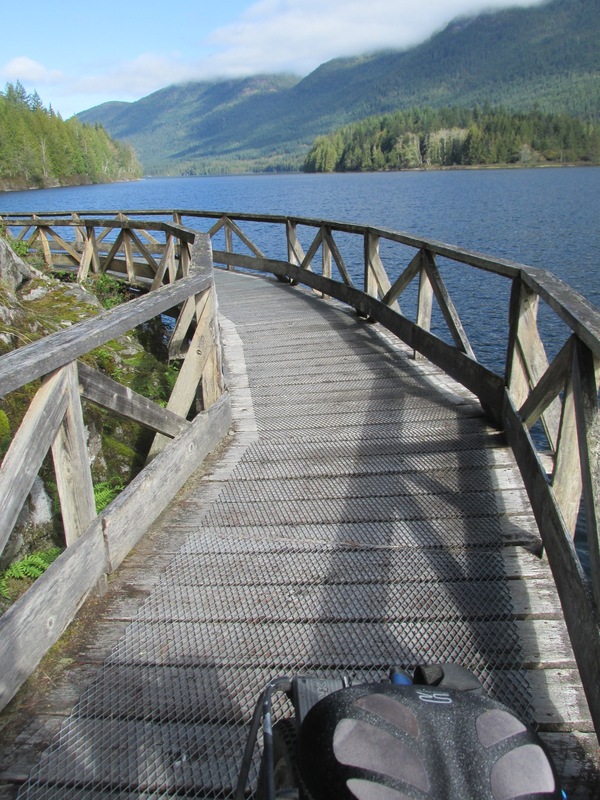 Check out the Rails-to-Trails Conservancy for yourself, and happy riding/walking! 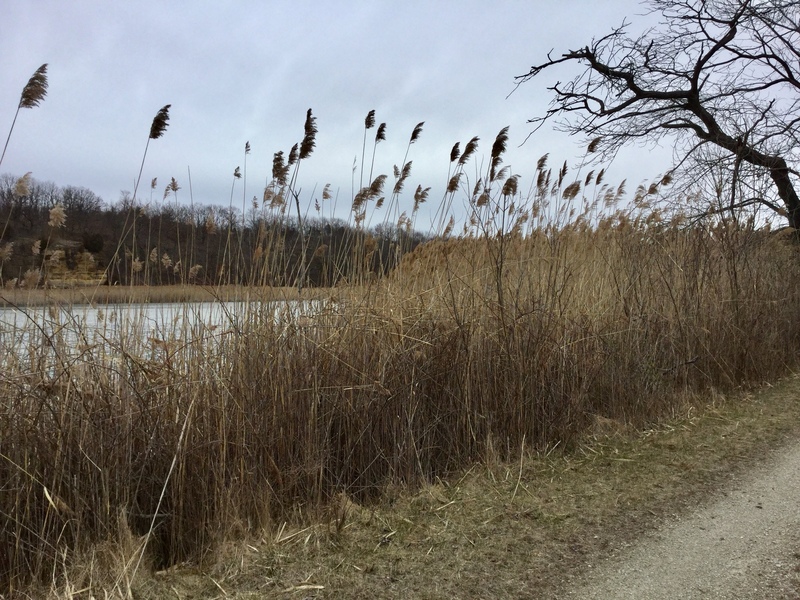 This entry was posted in Wing's Words and tagged adventure, bike paths, biking, Bizz Johnson rail trail, hiking, Rail trails, rails to trails conservancy, road trip, Trail Link, travel by gretchenwing. Bookmark the permalink.